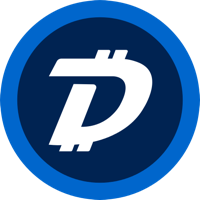 DigiByte, (symbol DGB) was released on Feb 6th, 2014 and operates without being controlled by a reserve bank or single administration. DigiByte, a crypto coin, follows the Skein algorithm along with the pow consensus. For the latest from DigiByte, you can find them on social media sites, such as Reddit, Facebook, Telegram and Twitter. We don't have any debit cards listed for DigiByte (DGB) yet, check back soon!